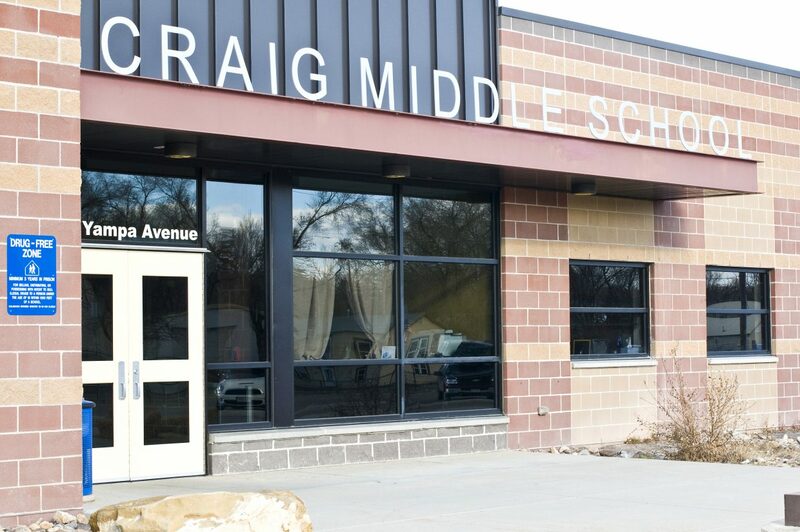 The Craig Middle School student accused of bringing knives to school on Dec. 5 will be expelled until June 2015. Craig — Although the District Attorney’s office elected not to charge the Craig Middle School student who brought knives onto school property, Moffat County School District Superintendent Brent Curtice said the student is expelled until June 2015. The 13-year-old student allegedly brought seven knives onto CMS property Dec. 5, according to the Craig Police Department. “One (knife) was illegal to bring, and based on that and his habitually disruptive behavior, we went ahead and moved forward to expel the student,” Curtice said. According to Moffat County School District policy, action must be taken against any student who brings a knife exceeding 3 inches in length onto school property. According to a news released issued by the Craig Police Department, the student was taken into custody Dec. 5 and transported to the Public Safety Center in Craig. Later, he was transported to the juvenile facility in Grand Junction. Curtice said, in line with the state’s expulsion laws, the school district is working with the student’s family to create an educational plan for the student.